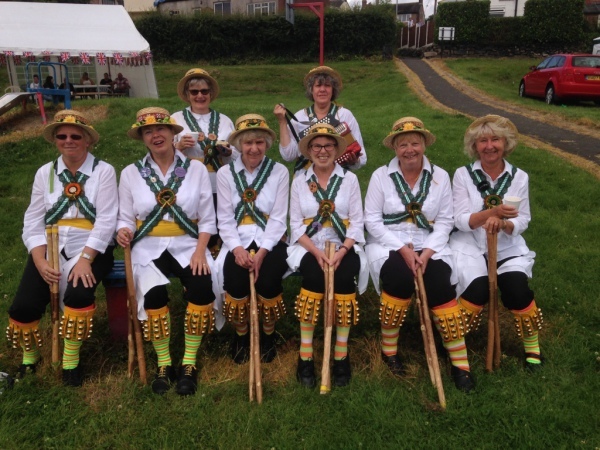 Just a few of Leek Morris enjoying a break at Brown Edge carnival. 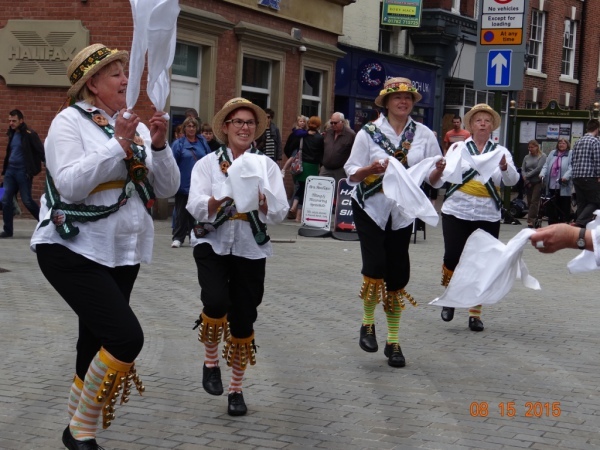 Dancing on Derby Street, Leek. Morris Dancing dates back to the fifteenth centuryBefore the English Civil War, the working peasantry took part in Morris Dances and in 1600, it was reported that the Shakespearean actor, William Kempe Morris, danced from London to Norwich. During the Industrial Revolution, Morris dancing suffered a decline, only to be revived in the early twentieth century. 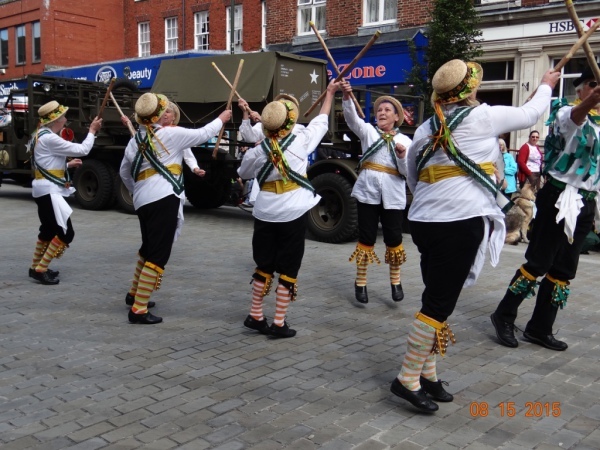 You, too, can join in the fun with Leek Morris. Come and meet us.You will be very welcome. 7:30 p.m. in the 2nd Leek Scout Hall on Clerk Bank in Leek. 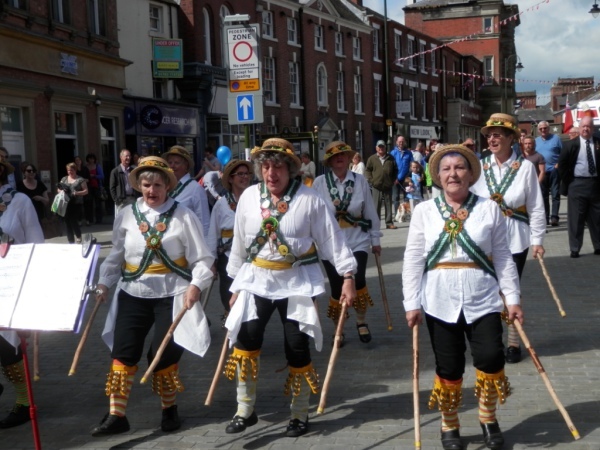 Leek Morris are a Side who perform dances from the Cotswolds, the Forest of Dean and the Welsh Borders. 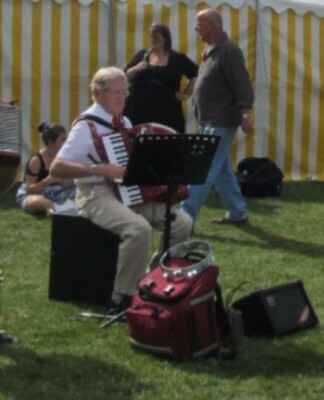 He was a great support to the group, both as a talented piano accordion player and for his work as treasurer on the committee. 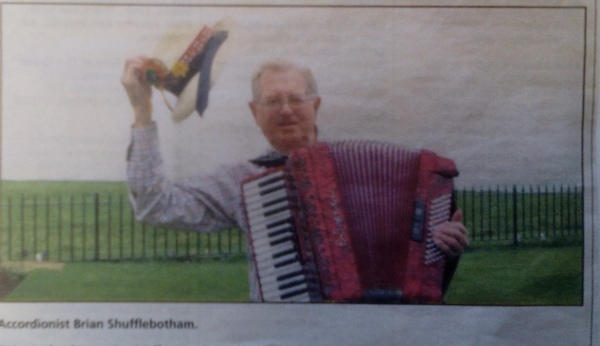 It was soon after Leek Morris began, that Brian was asked if he would join them to provide the dancers with live music, instead of their use of a CD player.This he did, with great enthusiasm, eventually, sharing his music with new band members. Brian will be greatly missed by all of us.